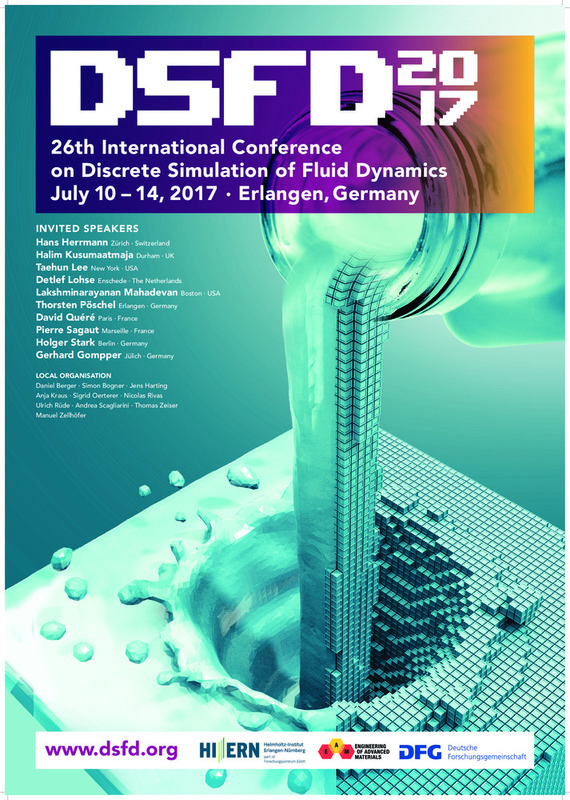 it is a pleasure to announce that the 26th edition of the Conference on Discrete Simulation of Fluid Dynamics (DSFD 2017) will take place in the heart of the city of Erlangen, Germany. The conference will be hosted by the Helmholtz Institute Erlangen-Nuremberg and the Friedrich-Alexander University Erlangen-Nuremberg. I am looking forward to seeing you in Erlangen this summer!